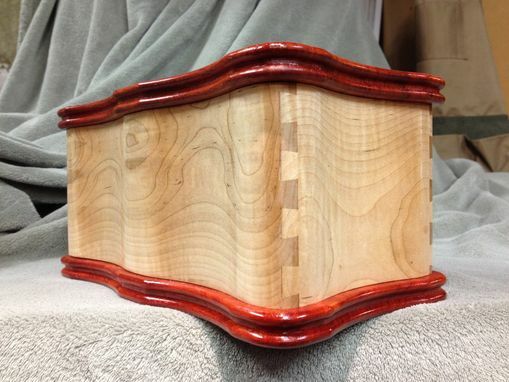 This is a customer ordered project made from curly maple and paduk. 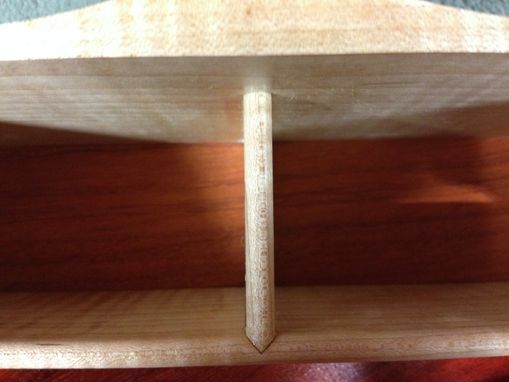 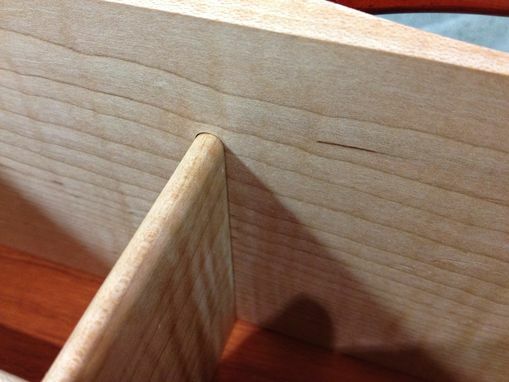 It features dovetail joinery on the outers walls and tung and grove joinery on the inner dividers. The maple is finished in an oil based varnish and is hand rubbed to a semi-gloss sheen. 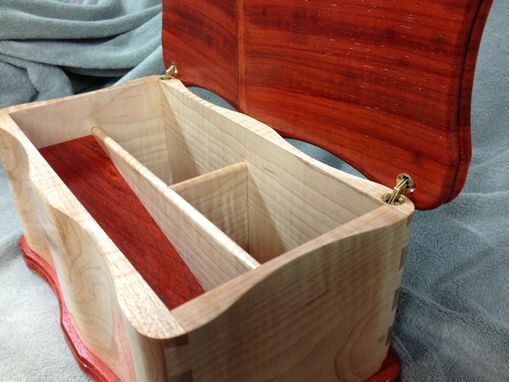 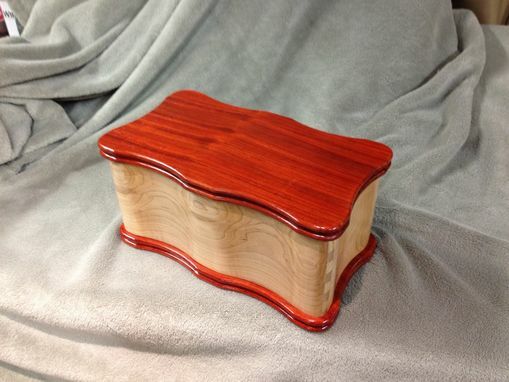 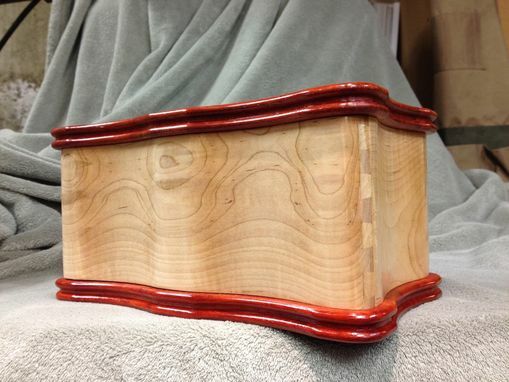 The lid and bottom are finished in a water based varnish to highlight the vibrant color of the wood.